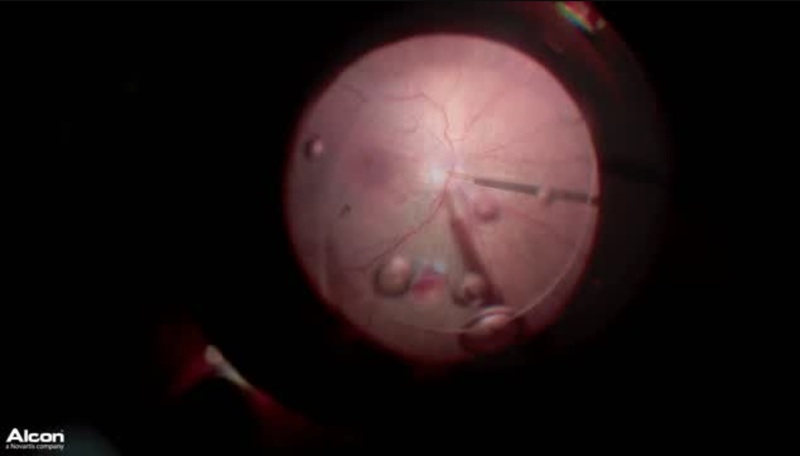 Steve Charles, MD, FACS, FICS, demonstrates his core vitrectomy technique using Alcon’s 25-gauge DSP internal limiting membrane forceps on a pseudophakic patient vitreomacular traction (VMT) who has undergone extensive laser. He utilizes the Constellation Vision System and the 10,000 cuts per minute probe, both from Alcon. This video was recorded using Alcon’s Ngenuity 3D Visualization System.